These works are a reflection of David’s intent and longing throughout the Psalms of the Bible. Like the beautiful and powerful verses of the Psalms, these large fresco style oil paintings strive to reach you like a verse of poetry. Bringing each of the works down to a constructed and dimensional piece, you are visually held and dwell within it. Each piece of the series is an inspired work from the Psalms, all with different messages, and interpretations. 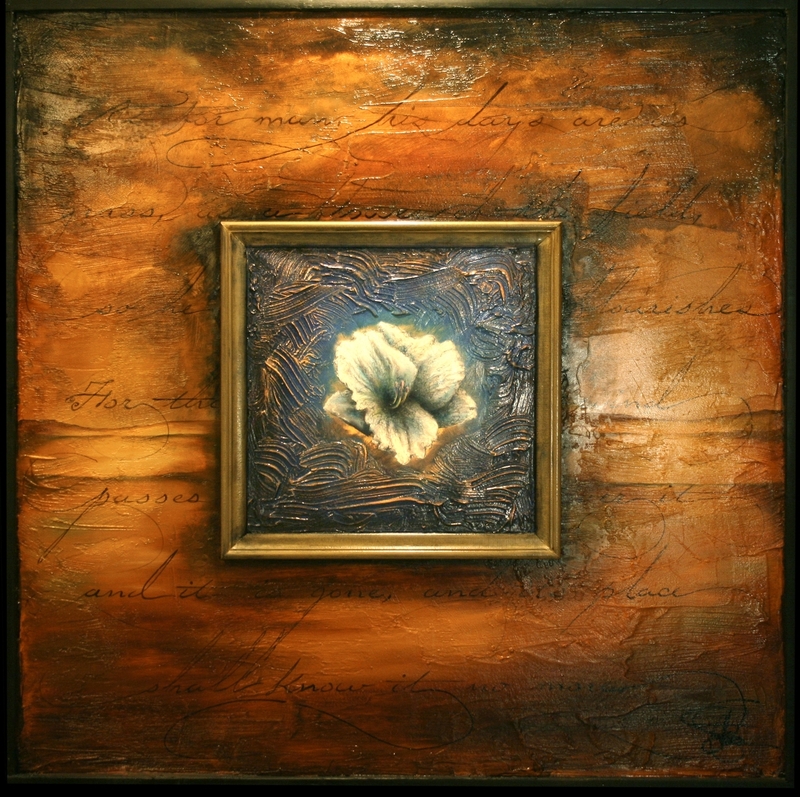 I wanted the paintings to reflect a construct that is in a sense crafted from heartfelt prayer. Centered on each piece is a detailed painting from nature. I want you to connect with the simplicity of the individual, but being drawn closer in you see an amazing complexity. A reflection of ourselves framed in the center of striving and struggles brought to God.